National Return to Work Week - Where do we go from here? What did we learn this week? How do we keep return to work in the forefront of the disability and workers compensation discussion? Who can we join with? How you can continue to keep the momentum going. 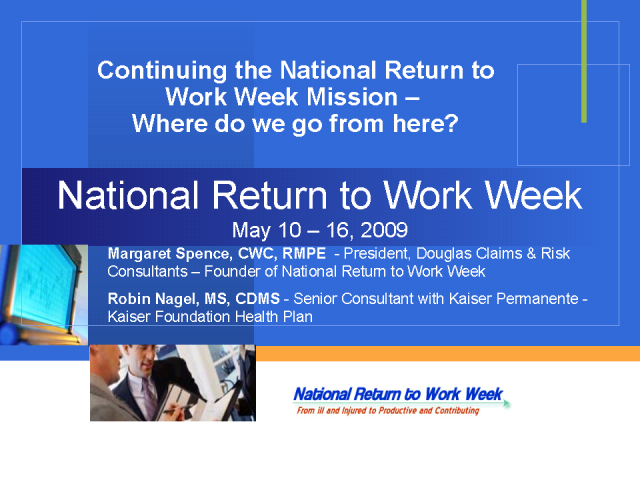 Title: National Return to Work Week - Where do we go from here?